Ticwatch 2 is an innovative smartwatch. With sleek design and our unique Ticwear OS, the smartwatch can be beautiful and powerful. Get notification on your wrist, speak to Ticwatch 2 to get an Uber, set reminders or make a call. Want to go for a run? Go, and the watch tracks your steps and heart beats without a phone. So get one, and enjoy the beauty of technology. Click here to buy Apple Watch Series 2 42mm Smart Watch. The rocking beats and thrilling notes in your music can come alive with the Intex 2.1 Channel IT-850U Multimedia Speakers. Designed to let you listen your soundtracks out aloud, these 2.1 Channel IT-850U Multimedia Speakers render crystal clear sound at a pitch of your choice. No matter it’s a movie, video or a song that you playback, the audio is bound to delight you and you can recreate a theatre-like ambience at your home. The 2.1 Channel IT-850U Multimedia Speakers produce total 16W (10W + 3W x 2) audio output in a realistic sonic quality that you deserve to hear every time you go on to listen to your favourite music tracks. You would not also miss a single rhythm due to the 50 Hz to 200 Hz frequency response range of the main speaker and the 200 Hz to 18 KHz frequency response range of the satellite speakers in this 2.1 Channel IT-850U Multimedia Speaker System. High Portability for Travellers A budget-friendly system, these 2.1 Channel IT-850U Multimedia Speakers do not put any burden on your pocket while ensuring you get high-quality sound for your multimedia content. With 7.62 cm size of the main speaker and 5.08 cm size of the satellite speakers, the 2.1 Channel IT-850U Multimedia Speaker System can be carried anywhere comfortably. Whenever you feel like listening music, just plug-in the stereo jack of these 2.1 Channel IT-850U Multimedia Speakers into your digital media devices and play your preferred tracks. An aux-in cable also accompanies your 2.1 Channel IT-850U Multimedia Speaker System that supports a compatibility with DVD/TV/PC and you can also insert your USB pen drives/external hard drives or your TF memory cards to playback your stored multimedia collections. Accessible Controls, Easy Charging You can raise up or lower down the volume level of your music using the rotary volume knob or play/pause/switch to the next track with ease with all the functions located externally on the 2.1 Channel IT-850U Multimedia Speakers. There's an LED indicator for power supply that lets you know instantly if your 2.1 Channel IT-850U Multimedia Speakers System is getting charged via USB 5V/DC connection. Click here to buy this wireless keyboard and mouse. Click here to buy Redmi 4 (32 GB) Mobile Phone. ✔ BRAND: Karatcart is your one stop destination for making any given day an occasion. We understand that your jewels are more than just accessories; they are an extension of your personality. ✔ QUALITY: Round Brilliant Cut Glass Gemstone. Austrian Crystal. Five Layer Micro White Gold Plated For High Durability and long life. Intricate high polish creates glamorous reflections and adds a luxurious look. Nickel free and Lead free as per International Standards that makes it very skin friendly. ✔ ORIGINAL: Official KARATCART Merchandise. Order online with 100% satisfaction guaranteed. ✔ GIFT FOR HER: Free Box Case for Gifting and Future Safe Keeping. Ideal Valentine, Birthday, Anniversary gift for someone you ❤ LOVE ❤. The lightweight, compact EF 50mm f/1.8 STM is the perfect entry level offering from Canon’s prime range of EOS lenses. With an 80 mm effective focal-length on APS-C cameras, 50 mm on full-frame cameras, it is perfect for portraits, night-time photography, and even action sequences. Circular 7-Blade Design Its vivid maximum aperture of f/1.8 not only excels in low light, but also capture gorgeous, sharp images and movies with beautiful background blur and bokeh thanks to its circular 7-blade design. Its latest lens arrangement with new lens coatings helps render images with outstanding colour balance, and minimised ghosting and flare. Compact and Fully Equipped For Movies The EF 50mm f/1.8 STM’s performance is outstanding, with a stepping motor (gear-type STM) to deliver near-silent, continuous Movie Servo AF for movies and speedy, smooth AF for stills. A restructured exterior with enhanced focus ring placement makes manual focus adjustments exceedingly simple and easy. Canon's most compact 50 mm lens, the EF 50 mm f/1.8 STM has a rugged metal mount, plus an improved minimum focusing distance of 1.15 ft. (0.35 m) and a maximum magnification of 0.21x. Offering enhanced performance for the best in movies and stills, it's a fixed focal length lens makes it perfect for photographers and moviemakers who want to expand the creative possibilities with their EOS cameras. Click following link to buy..
Click here to buy this mobile.. Videos keep you posted on the world around and video chats keep you connected to the ones you love. The 10.or E comes with a 5.5” full HD screen with a high screen-to-body ratio that maximizes your viewing experience. You like to be up-to-date on the latest in the world of TV, music and movies, and enjoy quality entertainment. The 10.or E has a Full HD screen with a 1920x1080 pixels resolution, 403 PPI and 400 nits brightness to stream your favorites in vivid clarity. When you choose the 10.or E to complement and enhance your life, you don’t expect to be worried about scratches on its surface. Which is why, the 10.or E comes with Corning Gorilla Glass 3 that makes sure the screen is scratch and impact resistant. Your phone is with you constantly and you prefer one that feels just as great as it looks. The 10.or E comes with a 2.5D curved glass on the screen that softens the edges and lends an elegant look to the phone. You pack the most into your day. Which is where the 10.or’s 4000 mAh high density lithium polymer battery that lasts up to two days* with regular use and 1.44 days with heavy use ensures that your phone stays on when you need it most. Performance is a game you’re used to winning. The 10.or E’s Snapdragon 430 octa core processor with improved battery life, combined with Qualcomm Adreno 505 GPU for improved graphics performance, ensure that your phone is superfast and you can smoothly switch between multiple apps and games. Your life is packed and your phone is what you use to stay productive and in control. The 10.or E’s 2 GB/3 GB RAM ensures there’s enough space for other apps to run in the background while you focus on the task at hand without any lag. Music playlists, eBooks, pictures and videos - yours is an eclectic collection that is treasured. The 10.or’s 16 GB/32 GB internal memory is expandable up to 128 GB with a dedicated memory slot, allowing you to store all your favorites. You create great moments every day. The 10.or E’s 13 MP back camera comes with flash, CMOS sensor and PDAF for sharper focus and stunning clicks. The 12 shooting modes, Beautify Feature and 4 filters enable the perfect enhancement to bring your story to life. You like to treasure moments with your loved ones. The 10.or E’s 5 MP front camera with flash and CMOS sensor gives you clear pictures and video call captures. With selfie countdown and face recognition feature, your 10.or E ensures that you can capture your picture perfect moments. * When the screen is on. You like to stay ahead when it comes to the latest in technology. The 10.or E comes with Android v7.1.2 Nougat operating system which is upgradable to Android 8.0 Oreo. Your phone will have Google Assistant and get regular security updates. You expect the best in voice clarity, roaming rates and mobile data - no matter where you travel. The 10.or E comes with dual 4G* SIM card capability with VoLTE support so you can switch based on your preferences. *When two SIM cards are used simultaneously, the primary SIM supports 4G calls and data, while the secondary SIM can support 2G calls only. Your choice is classic, and in line with that, the 10.or E is available in two color variants. The Aim Gold, which represents your quest for improvement; and Beyond Black for those who challenge the ordinary. Pick one that goes best with your tenor. Popular pre-installed Amazon apps with Single Sign On (SSO) allow quick access to your content, order history, wishlist, shipment updates, and more. Watch the latest movies & TV shows on your 10.or E device through the Prime Video app. How to Upgrade your Xiaomi Redmi Note 4 to Android Oreo 8.0? So do you want to Update Redmi note 4 to android 8.0 Oreo? If yes then you are at right place. Today we are here with the guide on How to Update Redmi note 4 to Android 8.0 Oreo. Redmi note 4 is one of the most popular devices from Xiaomi in India. The Redmi Note 4 comes with a 5.5 Inch screen, Coming to the processor so the smartphone comes with Snapdragon 625 processor coupled with 4Gb of ram.The smartphone comes with 13Mp camera unit at the back and a 5 mp camera unit is placed on the front. The Redmi note 4 runs on android 7.0 Nougat and today in this guide we will show you the way to Update Redmi note 4 to Android 8.0 Oreo. How to Install Android 8.0 Oreo on Redmi note 4? Big Screen: LG G6 has a big and superbly smooth screen that fits your hand. It packs a 14.47cm(5.7) display in an attractive sleek phone that comfortably fits in one hand. Best Viewing Experience: LG G6 comes with the best display specifications which are 14.47cm(5.7) QHD Plus, Full Vision Display, Dolby Vision, Quad HD+ and 2880 x 1440. Wide Camera: LG G6 has wide front camera which allows to capture wider pictures. Some of its camera specifications are- Gesture Shot, Auto Shot, Dual 13MP and 125° angle. It also has a square camera that enables Match Shot, Snapshot, Guide Shot and Grid Shot. Durable: You can take LG G6 with you just about anywhere. With an IP68 rating, it's sealed against dust and water resistant up to 1.5 meters for up to 30 minutes. Reliable: The LG G6 is optimized for efficiency, reliability, and stamina. The internal safety standards are higher than government and carrier requirements, designed to protect your safety. The Google Assistant: This assistant will aid you from making plans to finding products on your LG G6. Click on Following links to buy for different variants. Customer to visit nearest DX mini/Digital / Jio Retailer along with Jiofi Device. Customer will fulfil eKYC / non eKYC requirement at the store. (Opt for Prepaid or post-paid service). SIM will get activated as per process. On successful tele-verification (in case of non eKYC only), customer will get Jio welcome Offer. Enjoy the convenience of never having to search for an electrical outllet with a built-in rechargeable battery. Now carry your sleek and stylish JioFi everywhere you go. Features:- *4G Supported Frequency *Sleek and light-weight device to keep you connected on-the-go. *Powerful 2300mAh battery to go on for 5-6 hours, when charged to the fullest. 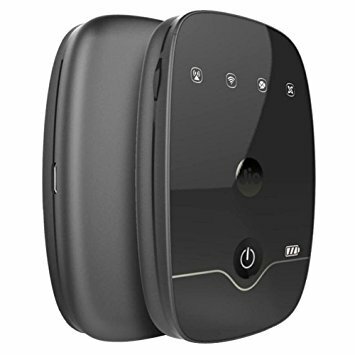 *Portable Wi-Fi hotspot to connect up to 31 Wi-Fi enabled devices and 1 on USB. *Make HD Voice and Video calls on your 2G/3G/LTE phone via JioJoin app. *Evolved users can wirelessly store & share files, content, images through MicroSD card.